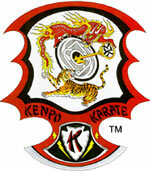 Thank you Mr. and Mrs. Mills and everyone who supported the seminars at my KENPO studio in Salt Lake City, UT. I didn't know we could fit that many people in the studio at once! We had a great time and I'm glad we had everything ready to go for Mr. Mills seminars. Thank you to everyone who helped me prepare the studio. I have a quick recap on my site and will be posting more photos soon. Check it out!